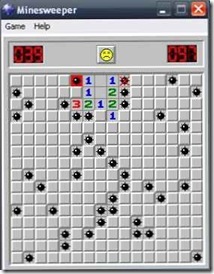 Have you ever played minesweeper? You know, that game with the smiley face on any Windows PC? Most people know about it, as in, they know it exists, but far fewer actually know how to play it. Besides randomly clicking on boxes (which can sometimes lead you to victory by chance on beginner), there is reason and logic built into the game. Which of these do you identify with? students often get lost in the middle of solving problems because they don't know what to do next, or they run out of gas. Practicing that perseverance in minesweeper or a logic puzzle lowers the risk of failure. Coming next, we'll see how my kids did.